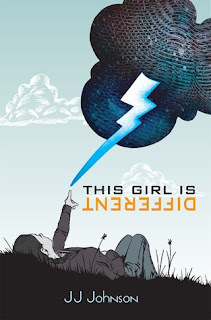 Summary (from Goodreads): This girl is different… That’s what Evie has always told herself—and it’s true. Home-schooled by her counter culture mom, she’s decided to see what high school is like for the first time—for her senior year. And what a year it is. As it turns out, it’s not just Evie who’s different. Lots of people are. Many of her assumptions about others are turned on their heads as she makes friends with kids her own age for the first time, discovers what’s good and what’s bad about high school, and learns lessons about power and its abuse—both by the administration and by Evie herself. Seventeen year old Evie is about to take a courageous journey. She has been home-schooled her entire life and decides that she wants to experience her senior year in a public high school. Talk about culture-shock. High school is a unique world. The norms of society mean nothing there. Unfortunately for Evie, she learns this the hard way. She's not the type of girl to conform and follow blindly. Evie received more detentions in her first week of school than I did in my entire high school career. Everything she was given a detention for was something a 'seasoned high school-er' knows not to do (or they do it anyway but are not surprised by the consequences). Things like talking on a cell phone, taking the class snake out of its cage or talking back to a teacher. Evie still needs to learn a lot of common sense and social cues. I'm probably in the minority here but I'm not a fan of seeing Facebook and iPhones show up in books. I know that this is a young-adult book and *all teenagers have a Facebook account and a cell phone (*all of the teenagers I know have both), but I get enough of this technology in my everyday life. I don't need to read about becoming "Facebook official" or an internet lover. But that is just a personal preference of mine. What I love about Evie: She's not afraid to stand up for what she believes in or to jump in and defend someone else. I can definitively picture her leading a protest or organizing a rally. She doesn't cave to peer pressure. I love that. Also, when Evie first meets Rajas, the boy she likes, she acts like a typical high school girl and I love it. She wonders if he has a girlfriend, if he thinks about her and what it would be like to kiss him. I really liked the concept of lightening (and it has nothing to do with weather). When you are 'struck' by lightening there's no way out. You can be struck by falling in love with someone or a nasty rumor going around the school about you. As a whole I thought the book was okay. I think I would have enjoyed the story more if I read this book when I was still in high school. As much as I love young adult books sometimes reading about high school feels too 'young' for me. Wow. I have never read a book that mentioned Facebook, but I know I'd dislike reading it if I did! I love YA books myself, but reading the high school play-by-play books are too young for me as well. Thanks for the review! I'm not sure how I feel about specifically mentioning Facebook, but ignoring the reality of the internet is much more annoying to me than acknowledging it. I think about this sometimes. Sometimes I feel like it reflects the period sometimes..I'm in agreement with Lu..mentioning the internet should be a given in the internet-era and same with cell phones. They are an integral part of this time period. However, I think I take issue with specifically mentioning things like FB and a specific KIND of phone (Iphone). I think using specific technologies like that makes the book much more likely to seem SO out of date later on down the road that kids won't be able to relate to it. I've seen so many books that were almost confusing from back in the day because of an overuse of technology and pop culture, etc. I'm with Jaime on this one. I think that specifics shouldnt be mentioned. It has the chance to date itself easier. For instance, if I ever read a book that mentioned going to their Xanga or Geocities page, it would completely take me out of the story and actually send me into nostalgic land. But if someone was going to their blog I'd read it as if it were another word. The book sounds pretty interesting, but for me personally, I can only take so many high school centric stories at one time becuase I too feel slightly too old for it. My teen daughters would probably love this book...not so sure about me. Great review. I guess I'm just not used to seeing the internet pop up in books so it bothers me. Cell phones don't bother me as long as a specific brand/model isn't mentioned (imagine reading about a Sidekick or Razr phone in a book). But seeing Facebook mentioned in this book got on my nerves. I have to echo Maggie...as the local librarian, I see most of our area home schoolers on a regular basis, and 99% are quite capable of blending in with the average public schooler if they so choose. A homeschooled protagonist who is supposed to be smart and perceptive but socially clueless just doesn't ring very true to me. Just thought I would pop in to say my 18 year old Senior son does not have a facebook account (everyone else in the family does) nor does he ever want one. He also doesn't abbreviate in texts and asked us to prevent his phone from receiving pictures. He is, however, addicted to Minesweeper and John Madden Football. I enjoyed this one too, thanks for review.